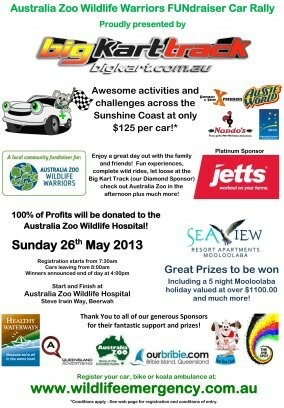 Join us for a great day out with Awesome Challenges, Amazing Prizes and a Fantastic Charity - Australia Zoo Wildlife Warriors Wildlife Hospital. Join us in the morning outside of Australia Zoo Wildlife Hospital. Register you car on line. Fill it up with up to 5 people and get ready for some fun! Challenges at Big Kart Track, Aussie World, Jetts Fitness, Nandos Maroochydore, QCCC Mapleton, Xperiences (segway rides) and everyone gets into Australia Zoo in the afternoon! 1st Prize is a 5 night stay in 2 bedroom Apartment at Seaview Resort as well as family passes at Big Kart Track, Aussie World, Australia Zoo and a tour of the Australia Zoo Wildife Hospital. There are awesome 2nd and 3rd prizes as well as a best dressed Team and Car. So many prizes to win! 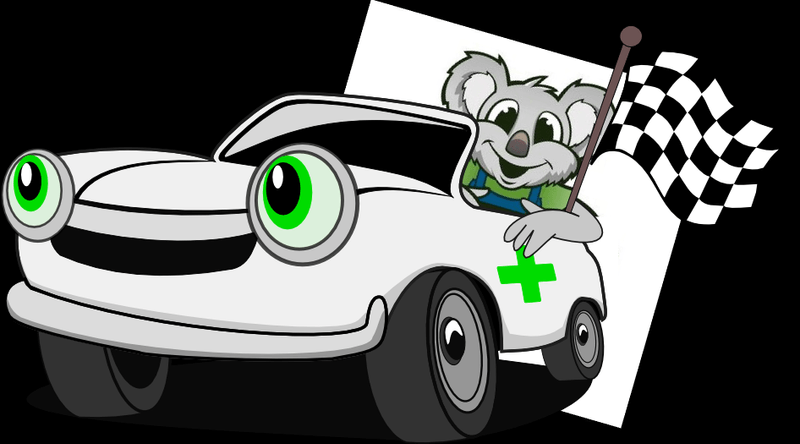 100% of the profits to be donated to Australia Zoo Wildlife Hospital. To learn more about the awesome challenges and prizes go to the website above. Register today so you dont miss out!